Dr. Babak Yaghmai joined the Hill Medical Corporation in 2000 as a specialist in Vascular and Interventional Radiology and Body Imaging. 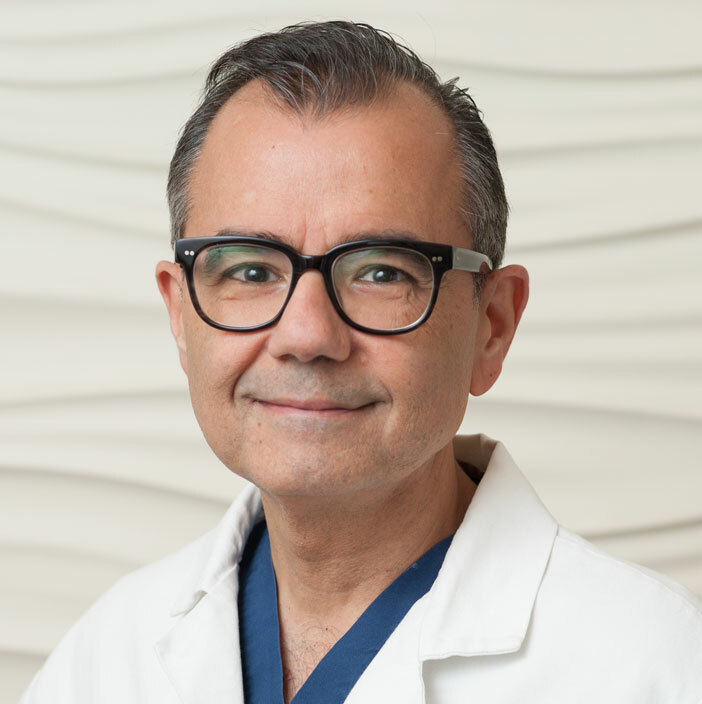 His expertise in performing interventional procedures at Huntington Hospital has allowed him to be instrumental in developing the VenaCure program to rid people of unsightly varicose veins without the need for surgery. He has established a reputation for being able to provide outstanding results by interventional means and his dedication in this area has allowed the VenaCure program to be extremely successful. He also played an integral role in the development of the Uterine Fibroid Embolization Program at Huntington Hospital. Uterine Fibroid Embolization is a procedure done to rid women of the painful and uncomfortable symptoms that fibroids may cause without surgical intervention. Dr. Yaghmai graduated from the University of Virginia with BA degree in Cell Biology/Biology. He earned his medical degree from the Medical College of Virginia School of Medicine in Richmond, Virginia. He completed his Diagnostic Radiology residency at Cook County Hospital in Chicago, Illinois and his fellowship in Vascular and Interventional Radiology at the University of Illinois Hospitals in Chicago, Illinois. Dr. Yaghmai is Board Certified in Diagnostic Radiology with a Certificate of Added Qualification in Vascular and Interventional Radiology. Dr. Yaghmai has held academic appointments at the University of Chicago as an Assistant Professor/Interventional Radiology, as well as an Assistant Residency Coordinator. Dr. Yaghmai has authored and co-authored many peered reviewed publications, scientific exhibits and presentations. He has been published in Seminars in Interventional Radiology, Radiology, AJR, Advances in Gastroenterolgy, Hepatology and Clinical Nutrition, American Journal of Roentenology, Annals of Thoracic Surgery, and the Journal of Vascular and Interventional Radiology. Dr. Yaghmai instituted a highly successful VenaCure program based on Interventional Radiology with precise Ultrasound-guided diagnostic and treatment procedures.